Your heart is one of the most important organs in the body, and the foods you put into your mouth effect how your heart operates. If you want your heart to be strong and able to pump blood as well as possible all over your body, it is important for you to eat a healthy diet. 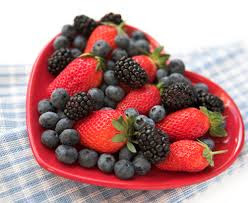 Heart-healthy foods are readily available in the supermarket, so choose some that work for your personal likes and you should be able to help prevent heart disease in your own body. Cholesterol is the most important thing when it comes to eating heart-healthy foods. There are both good cholesterols and bad cholesterols. Good cholesterols are called HDL, and their job in the body is to take excess bad cholesterol (LDL) to the liver, where it can be broken down and then will leave the body. LDL is actually not needed by your body at all from foods. Our bodies make enough of this kind of cholesterol on its own. It is the LDL cholesterol that hurts our hearts, not the HDL cholesterol, which actually helps our hearts be reducing the amount of LDL cholesterol in the body. LDL stands for low-density lipoproteins. Because this substance has a low density, it does not flow through the blood stream as readily as it should. The red blood cells easily release the LDL cholesterol and it sticks to the walls of your blood vessels, especially in the arteries leading to your heart. This is bad for a number of reasons. First, when the LDL cholesterol builds up on your arteries, it reduces the amount of blood that can fit through at a time, since the artery becomes smaller. That means your heart has to pump harder and faster in order to allow the same amount of blood to flow through your body. Over time, this makes your heart tired and not as strong. In the worst-case scenario, the blood vessel becomes so built up with LDL cholesterol that your artery could close completely. When this happens, your heart essentially panics because it is not getting the blood it needs and it starts beating rapidly to try to pump the blood. This causes a heart attack. You can also have a heart attack from LDL cholesterol build up if a piece of the build-up, called plaque, breaks off and floats down the blood stream. When it reaches a smaller part of the blood vessel, it will get stuck and block the blood, which again causes a heart attack. If the piece of plaque travels to the brain instead of the heart, it will cause a blockage in this area of the body, which in turn causes a stroke. Therefore, it is simply important to cut out of your diet the foods high in cholesterol so that you can prevent heart disease and other problems in the body.